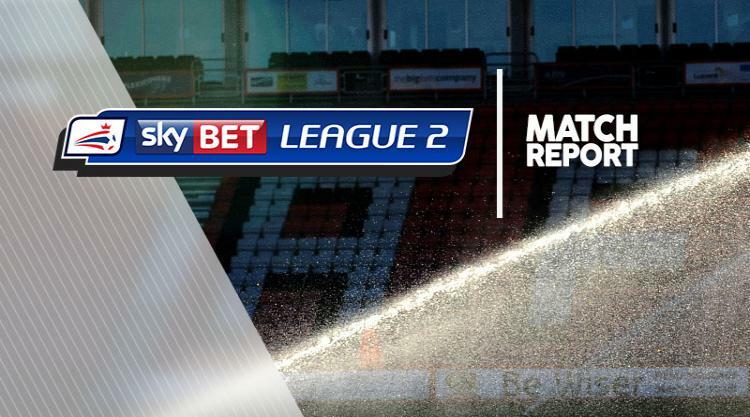 Luton inflicted just Blackpool's second home defeat of the season, underlining their promotion credentials with a 2-0 victory. Goals from Jack Marriott and Cameron McGeehan kept Luton in fifth, seven points off the automatic-promotion places. Christian Walton was the busier of the two goalkeepers in the first half, saving early on from Danny Pugh before denying Kyle Vassell twice within the 27th minute, first diving low to hold a sharp effort before superbly tipping over a thunderous strike from 18 yards. But it was Luton who took the lead after 31 minutes. The referee waved away what appeared to be a handball by McGeehan in the build-up, and Danny Hylton played in Marriott, who cut inside his defender to stroke home from eight yards. And they doubled their lead three minutes after the break. Blackpool defenders backed off and the ball was worked wide to James Justin, who picked out McGeehan to nod past Sam Slocombe from six yards. Luton had several chances to extend their lead, with Blackpool's best attempt at pulling one back from Eddie Nolan after 61 minutes, but his shot was easily held.